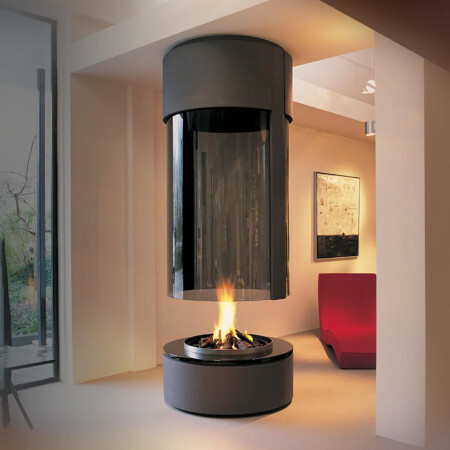 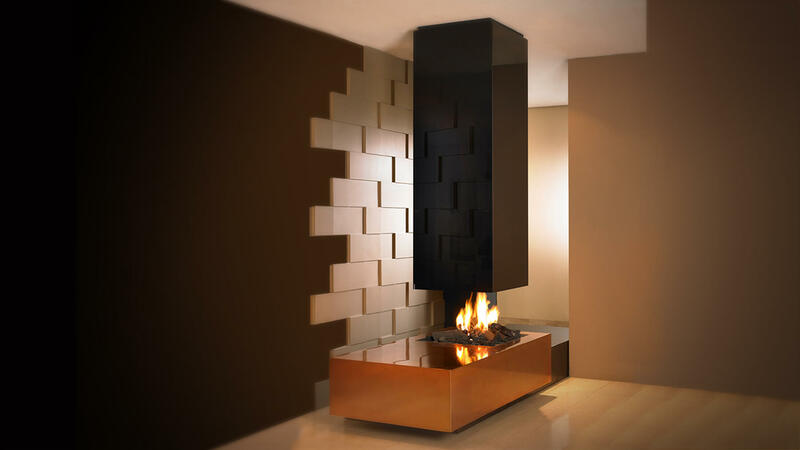 A bold and sleek luxury suspended fireplace with a unique and seamless black glass floating canopy. 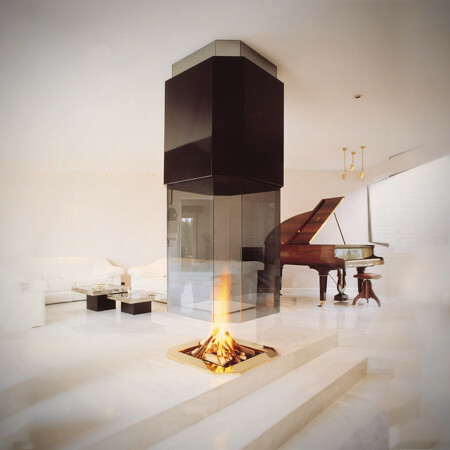 The suspended fireplace canopy makes a striking focal feature and the unusual base section comprising of brass and black metal adds to this unusual and ultra-contemporary luxury suspended fireplace. 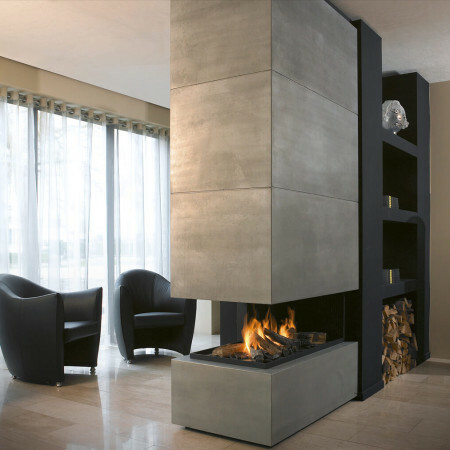 The glass colour and base elements can be styled and tailored to suit with some beautiful and striking material options possible.